In bodybuilding the emphasis is very much on the amount of muscle mass that you have in the body. A good illustration is seen almost on a daily basis. Suppose there are two gym partners, one who does the real iron pumping while the other is into aerobics. When these two guys step into a room all the gazes will be on the bigger guy simply because of his muscle mass. The other guy, though physically very fit and shapely will not elicit as much attention as his partner. 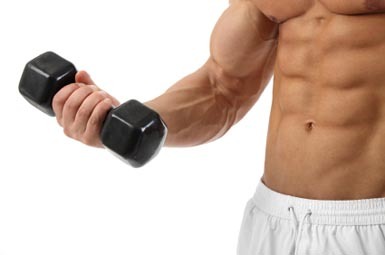 So, what can be done to add to muscle mass? These five tips below can be of great help. In order to gain that much desired positive nitrogen capacity and balance in the body you have to be ready to eat. This is not just any type of eating. You have to increase the intake of calories by about 50% for about three days to make gains in this area. The additional proteins, fats and carbs that you take in these three days will do wonders in increasing your muscle mass and also hasten the recovery process for your muscles. This will take place without bringing on significant accumulation of body fats. By ensuring that these additional calories are taken in the recommended three days, the body will get more benefits from the effects of insulin. More glycogen will also be stored in the muscles. Without a doubt, every bodybuilder should know that growth and muscle mass accumulation will only come about if the body is afforded adequate rest. After accomplishing a training cycle it is usually a good idea to stay away from the gym for a number of days as the body recuperates and as the hormonal levels are taken back to the optimal levels. As a bodybuilder no one should discourage you from eating those middle-of–the-night meals simply because you know that when you have enough calories in the body your anabolism will be heightened. In addition to the 5-6 meals that you are required to eat on a daily basis it is advisable that you add a protein drink at night that will to increase your bodily stock of pro-anabolic nutrients. There are three situations in as far as the use of weights is concerned. Going for high reps will increase endurance. Medium reps will add both strength and endurance while the low reps will basically add strength. Power-lifters normally make use of the last description in training. As a bodybuilder you are normally in the medium reps bracket but you should periodically go for the low reps to increase tension in the muscles hence more growth. Glutamine will help you spur lots of muscle growth. Creatine will help in the production of ATP, the chemical fuel used in the body. This entry was posted in Training and tagged Bodybuilding, Calories, Muscle Building, Muscle Mass, Power Lifting, Rest In Bodybuilding, Training Tips. Bookmark the permalink.